Here are seven inspiring quotations from the past few years contained in Verso’s Book of Dissent. The volume includes 340 pages of songs, poetry and statements that have inspired resistance over a vast expanse of time. These are a few of the more recent quotations that inspire resistance. 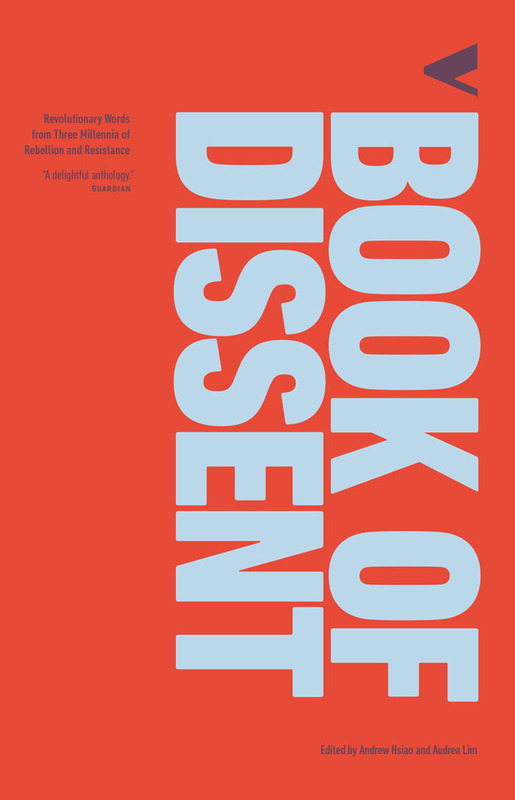 The book is dedicated to evidencing the long history of dissent upon which today’s current resistance is built. Read it, and you will know that you are not alone. The Gaza Strip has been transformed into the biggest open prison in the world and it was obvious we had to do something. We thought maybe we should try to break that whole blockade and the only way to do it is with a convoy of ships. When I first heard about it. I thought it’s a good idea. I’d like to be on board. I believe so strongly in solidarity as an instrument to change the world, and I believe in dialogue, but it’s the action that proves the word. What happened these past days in Bolivia [in 2005] was a great revolt by those who have been oppressed for more than 500 years. The will of the people was imposed this September and October, and has begun to overcome the empire’s canons. We have lived for so many years through the confrontation of two cultures: the culture of life represented by the indigenous people, and the culture of death represented by the West. We’re living in the Third World. And this shouldn’t be happening in this country, you know? They’re getting rich by our land. Everybody is using our traditional land except us. And all these mining companies and other forestries and other things that’s been happening in our community, there’s no benefits for us. It’s all going to the government. In the end the Obama administration is not afraid of whistleblowers like me, [Chelsea] Manning, or Thomas Drake. We are stateless, imprisoned, or powerless. No, the Obama administration is afraid of you. It is afraid of an informed, angry public demanding the constitutional government it was promised — and it should be. I am unbowed in my convictions and impressed at the efforts taken by so many. Copyright (2016) by Verso Books. Not to be reprinted with permission of the publisher.